We must tap ourselves’ shoulders, we’ve made an accomplishment we had waved off into the realm of daydreams a few years ago. 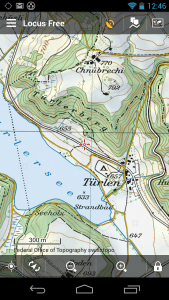 Our offline map portfolio has been enriched by Swisstopo, Swiss-made maps of the highest quality, completely covering area of Switzerland in several zooms down to content equivalent to 1:25 000 paper map scale. The maps are exclusively rendered, with Swiss precision and as they are downloaded directly from the server of our Swiss partners, they are always up-to-date. 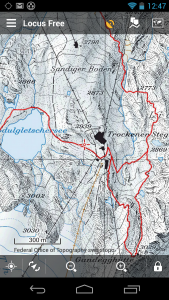 You can stroll Swiss Alps with the map including marked hiking paths right in your hand, you can set out onto a bike trip across winery lands on the shores of Le Léman lake… Moreover, if you download our POI database from Locus vector Maps you can bravely hit the road on an unforgettable Swiss vacation. 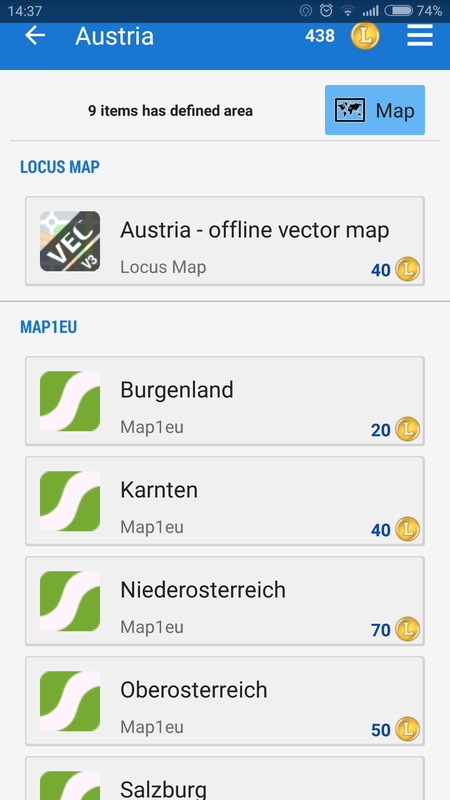 Maps in Locus Store? Pure shopping pleasure! Feel like picking map packages straight above an overview map? No problem! Scroll to the country you’re going to travel to, tap the Map button and the packages of particular map areas are highlighted above an easily readable general map of the state so you perfectly know what you need to download. 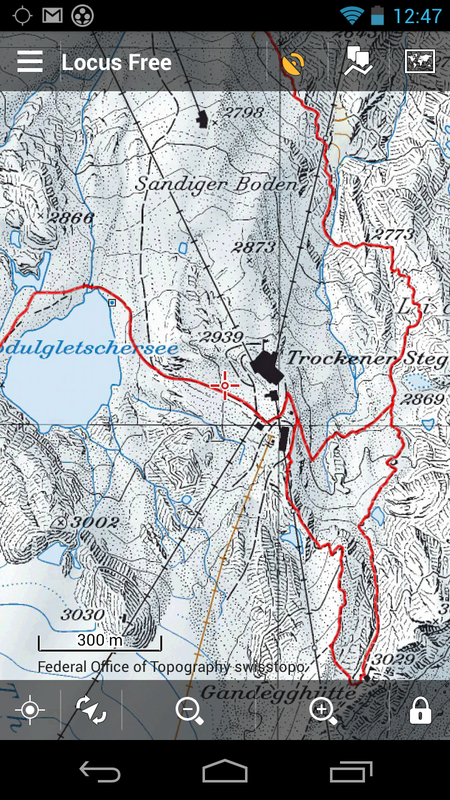 The difference between route navigation and guiding is hopefully not necessary to be explained in detail. While in the first case it’s a set of voice commands directing a driver from an intersection to another, Locus Map guidance secures the traveler to stick to a pre-planned route. 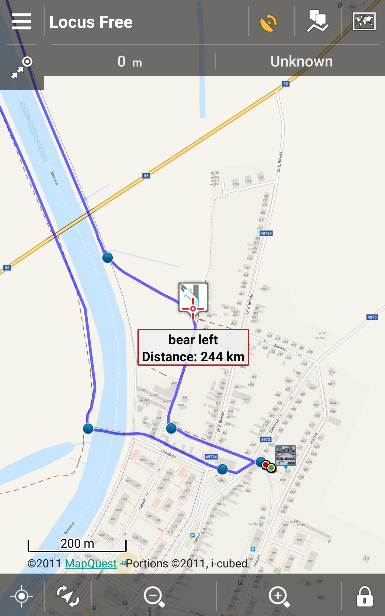 The even better news is that Locus Map can calculate waypoints en route that mark important direction changes, switches the display on right before such a change beeping a sound signal and after the turn it switches the display off to save the battery. We’re sure for example bikers will appreciate this feature as they won’t have to switch the display manually on to check their right direction with one hand grasping shaking handlebars. 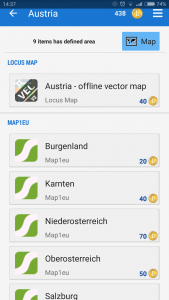 You know very well that Locus Map is a pretty versatile tool. We’ve pushed its versatility even a little bit more ahead. 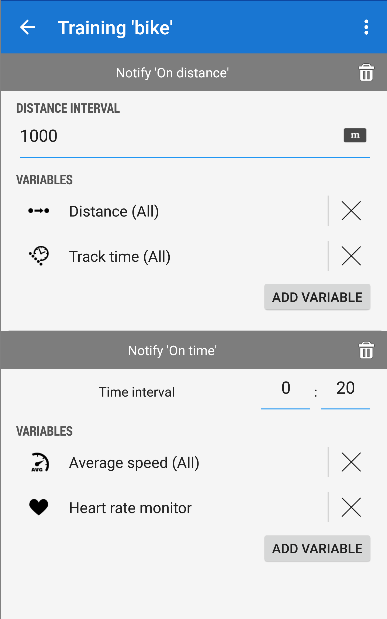 A training manager of your morning runs or weekend bike rides was added to the track recording function. In pre-set intervals its voice-generating unit keeps informing you of the traveled distance, average speed, time or heart rate. You can define various training schemes for various sports, run, bike, cross-country ski, it’s up to you. Also, you may select which hardware sensors should be activated when training. Then, just go running or kick the pedals, Locus Map will start the training simultaneously with the sport track recording. 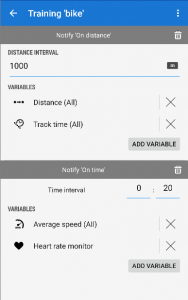 The feature can be set in Menu> Settings > Track recording. Great! The training manager was something I always missed in Locus. Bye bye ugly Runtastic & Co! It would be very nice if you could add a pace variable (how much time for the last kilometer) in a future release. Thanks for your work! Hi Pascal, The training manager was released in a sort of “Beta” version. I’m sure the pace variable will be added in some of following bugfix versions together with other variables.